The Beijing 2022 Winter Olympic Games venue in Chongli saw over 174,000 tourists during last week's Chinese Lunar New Year holiday. Tourists ski at Chongli Fulong Ski Resort in Hebei Province on February 5, 2019. The Beijing 2022 Winter Olympic Games venue in Chongli saw over 174,000 tourists during last week's Chinese Lunar New Year holiday, representing a 9 percent year-on-year increase, local authorities said on Wednesday. 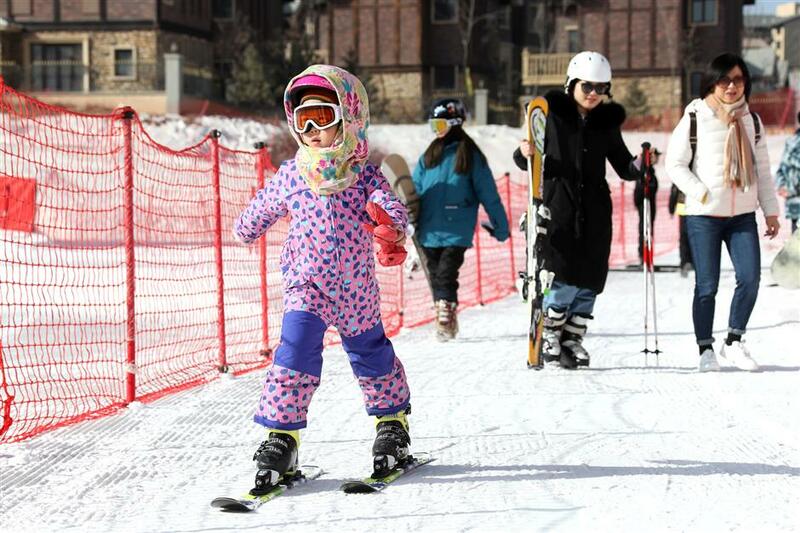 The Chongli district of Zhangjiakou in Hebei province, located around 200 kilometers northwest of Beijing, has drawn increasing attention since it was selected to stage most of the skiing events during the 2022 Winter Olympics. Take Chongli's Taiwoo ski resort as an example, it hosted an average of 500 foreigners per day, in addition to 7,500 Chinese citizens, a year-on-year increase of 50 percent. Besides Chongli, half a million visitors enjoyed ice and snow at several venues across Beijing, including the Bird's Nest national stadium where over 30,000 people took part in the 10th ice and snow carnival. Winter sports have gained popularity nationwide since Beijing won the rights to host the 2022 Winter Olympics in July 2015.